UPDATE: Shares of SSI's stock rose by as much as 18 percent after the announcement, the most in two years according to a Bloomberg report. Volume surged more than 3,500 percent above the stock’s three-month daily average. Shake Shack, the famous burger chain from New York City in the US, is opening in Manila. The announcement was made by listed company Stores Specialists Inc (SSI) in a disclosure to the Philippine Stock Exchange on Wednesday, July 18. Owned by the Tantoco family, SSI is known chiefly as a luxury retailer that has brought in numerous fashion and lifestyle brands to the Philippines, including Hugo Boss, Burberry, Lacoste, Marks & Spencer and many others. Starting out as a hot dog cart in Madison Square Park in Manhattan, Shake Shack now has around 170 locations across the globe, including 60 outside the US. The Philippines will be the first country in Southeast Asia to open a location. SSI operates other food service brands such as SaladStop!, TWG Tea and Good Eats. * Members of the Tantoco family also own and run Rustan's Coffee Corporation (RCC), which is the sole licensee of international coffeehouse chain Starbucks in the Philippines. Both SSI and RCC are members of the Rustan Group of Companies. Shake Shack's Manila menu will feature its signature items including the ShackBurger, Shack-cago Dog, crinkle-cut fries, beer, wine and frozen custard ice cream. The statement also said Shake Shack and SSI will work with "local purveyors and producers to create a one-of-a-kind Shack for the Manila community." 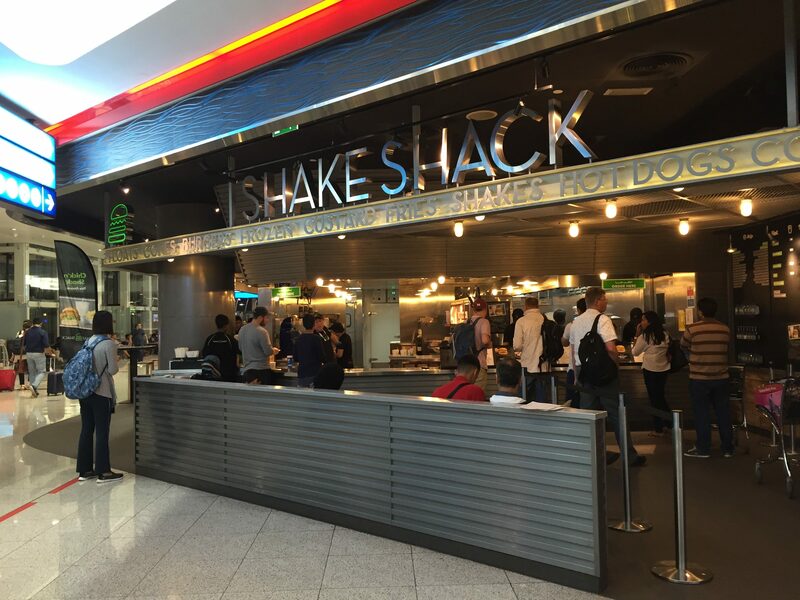 *A previous version of this story said that Shake Shack is SSI's first food service brand. We regret the error.